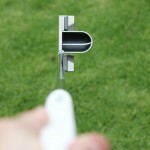 Pros: Unique “Half-Pipe alignment system” helps golfers keep their eyes directly over the ball, if that’s their goal. 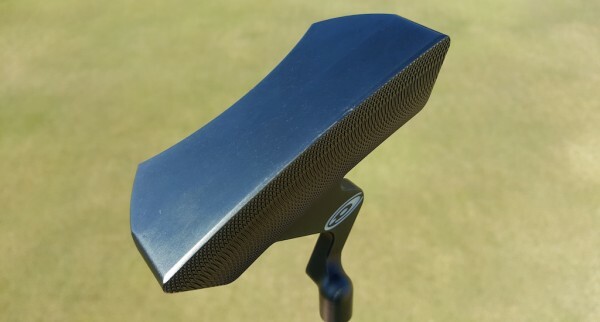 The interchangeable hosel design is an excellent feature that adds yet another level of precision when fitting a putter – especially for those who enjoy constantly tinkering and adjusting their equipment. 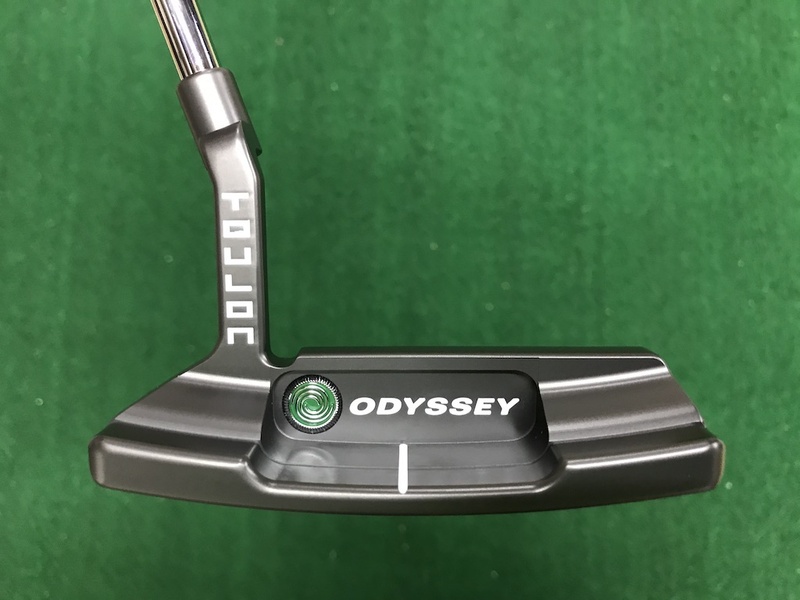 Cons: The $299 price tag for a single putter or $475 for the “BG-1 Complete Package” (three hosel styles) is a little pricey, although the $299 price point is comparable to those of other premium/boutique putter manufacturers. For some, the sound and feel at impact will feel harder and more “clicky” than they prefer. 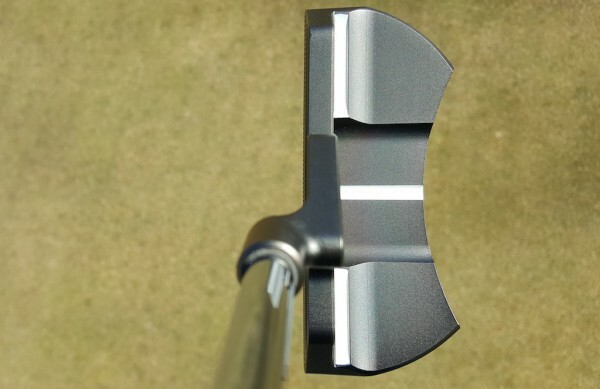 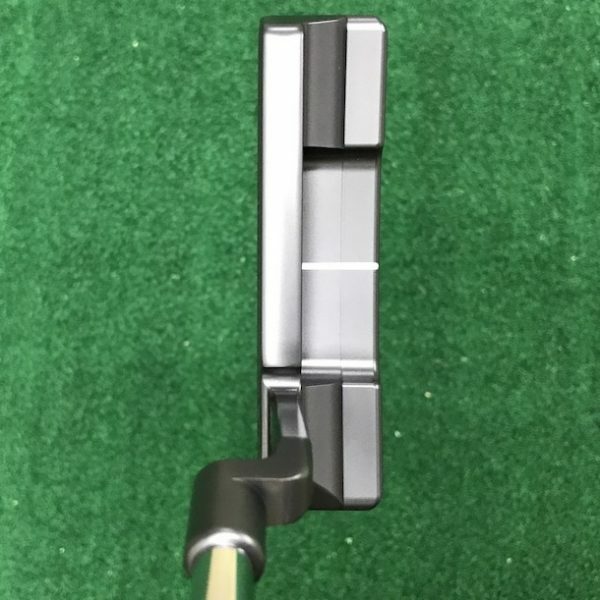 Bottom Line: For those who desire a high-quality putter that breaks the mold of the hackneyed Anser 2-style putter, look no further than the Brex BG-1. 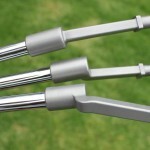 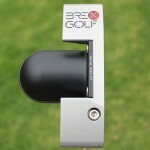 The BG-1 ($299) is currently the only model that Brex Golf manufactures, however, it comes in a few different styles. 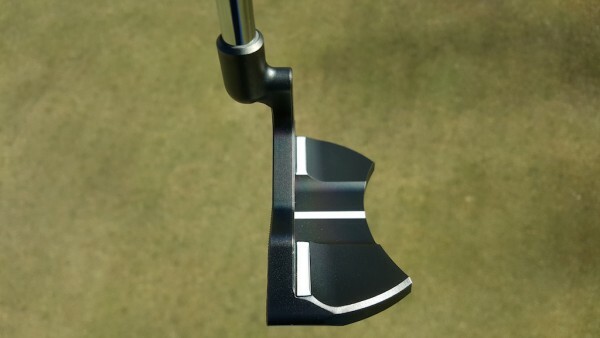 This includes the BG-1 with a white Half-Pipe and contrasting black paint filled lines, and a BG-1 with a black Half-Pipe and white paint fill. 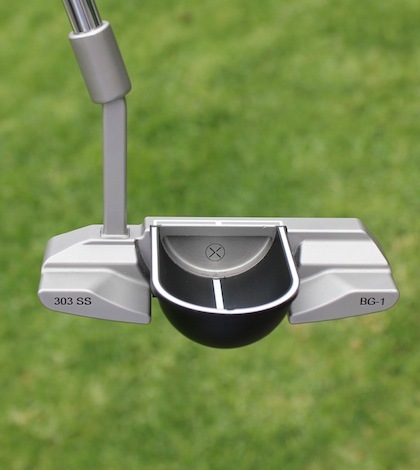 In addition, the BG-1 is sold in the “Complete Package” kit ($475), which is the variant that I tested. 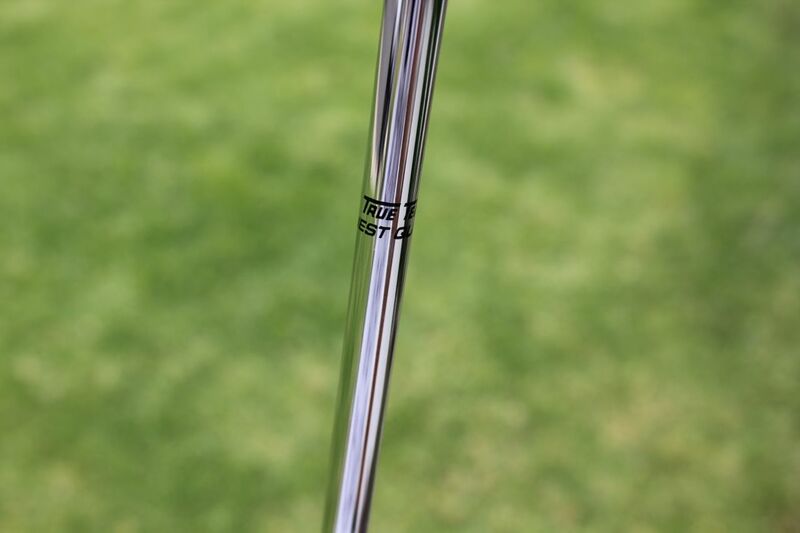 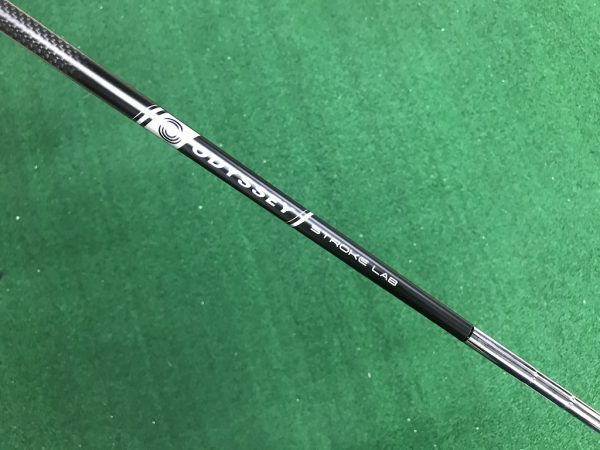 This package includes three True Temper putter shafts with white Iomic grips, each with a different style of hosel (straight hosel, face-balanced, and full offset). 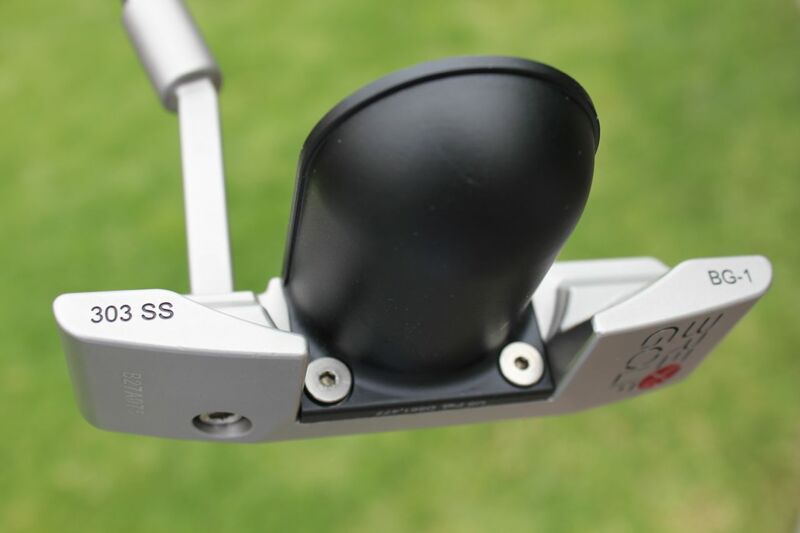 Each style of hosel is best suited for a certain type of putting stroke. 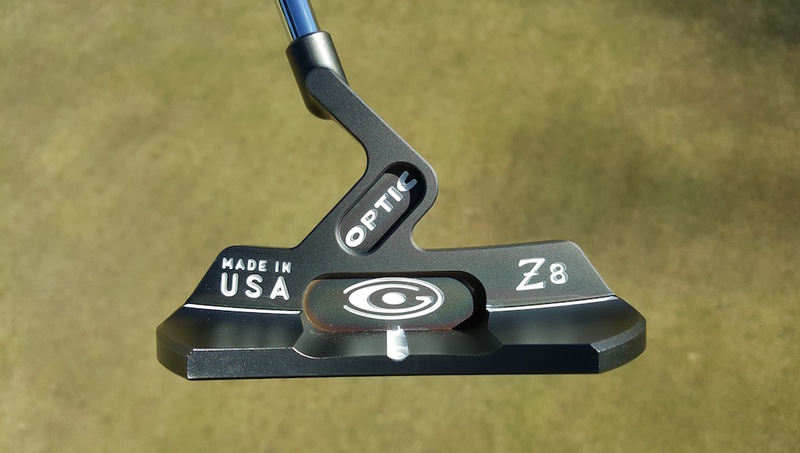 The full offset and straight hosels give the putter more toe hang, so they’re best suited for golfers with arcing strokes. 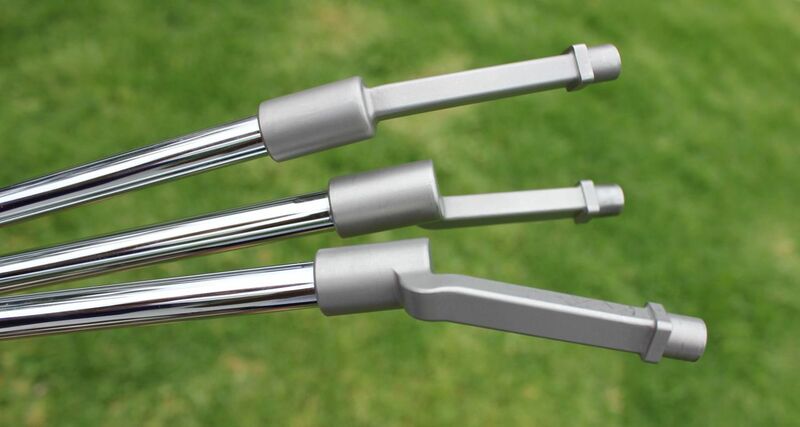 The face-balanced hosel, on the other hand, is best suited for golfers with straight-back, straight-through strokes. 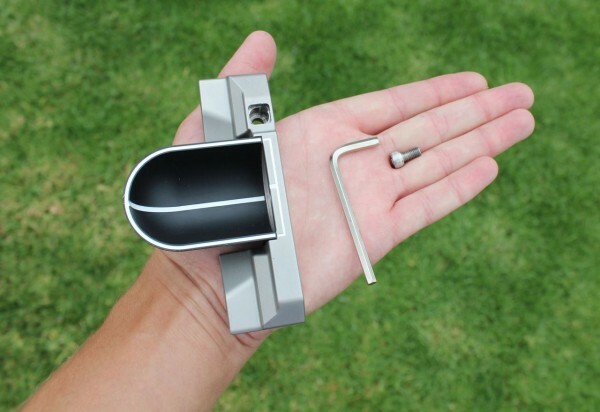 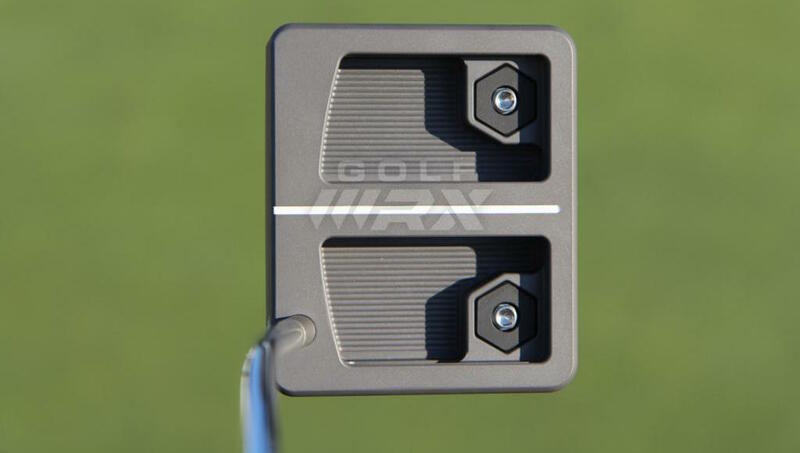 The different hosels are easily swapped through a technology that Brex Golf calls its “modular design,” meaning that the hosel is secured to the head with a hex socket screw and provided hex key. 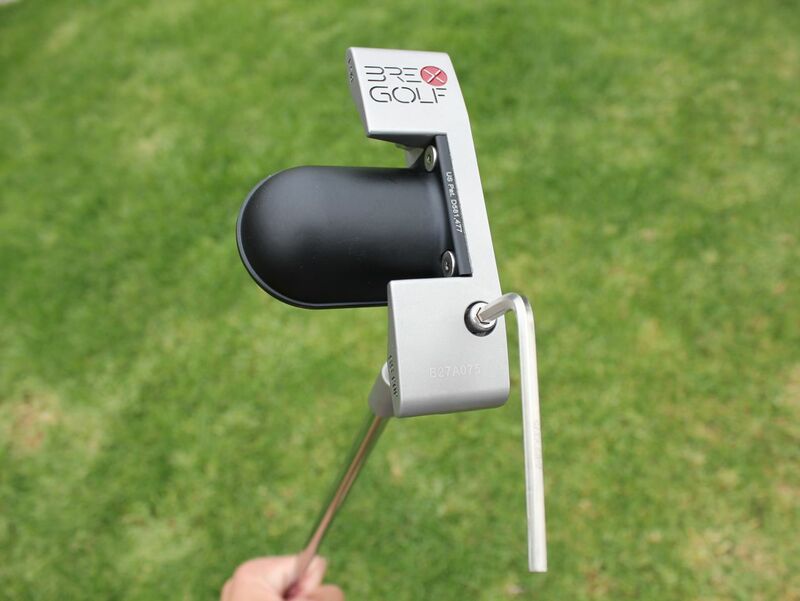 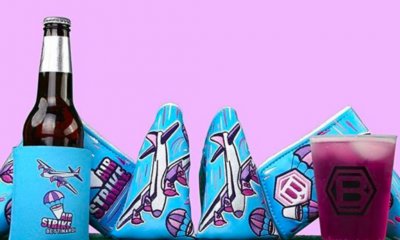 With the Complete Package, golfers who have determined which hosel style fits their game best have the further option to send back the remaining two hosels to Brex Golf, and receive $80 for each. 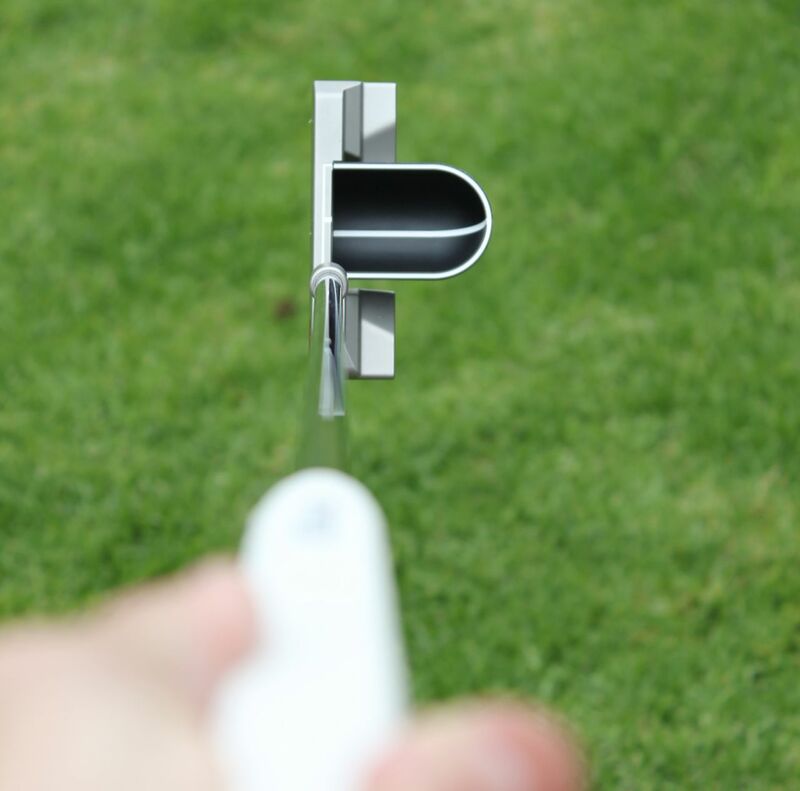 Essentially, this means that a customer can go through the entire home fitting process of ordering three shafts and narrowing it down to one for $16 more than the regular list price of a Brex Putter ($315 vs. $299). 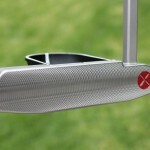 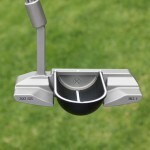 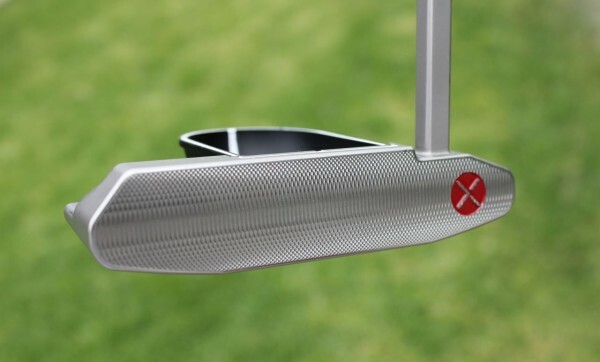 Brex putters are available through the company’s website in lengths of 32 to 35 inches. 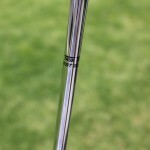 Brex Golf’s third guiding principle, listed on their website, is that their products will offer a true benefit to the golfer’s game. 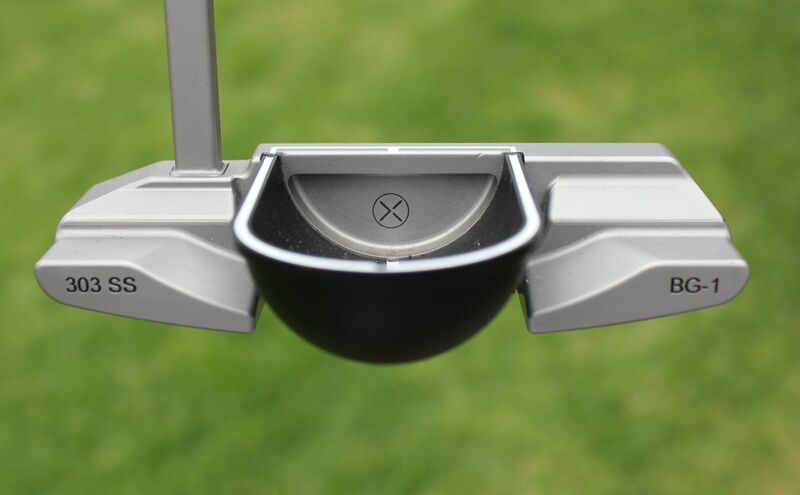 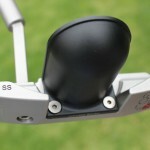 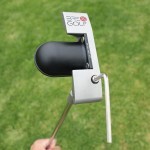 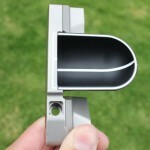 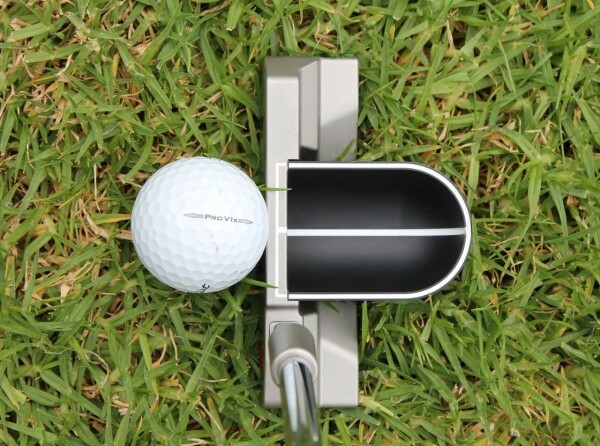 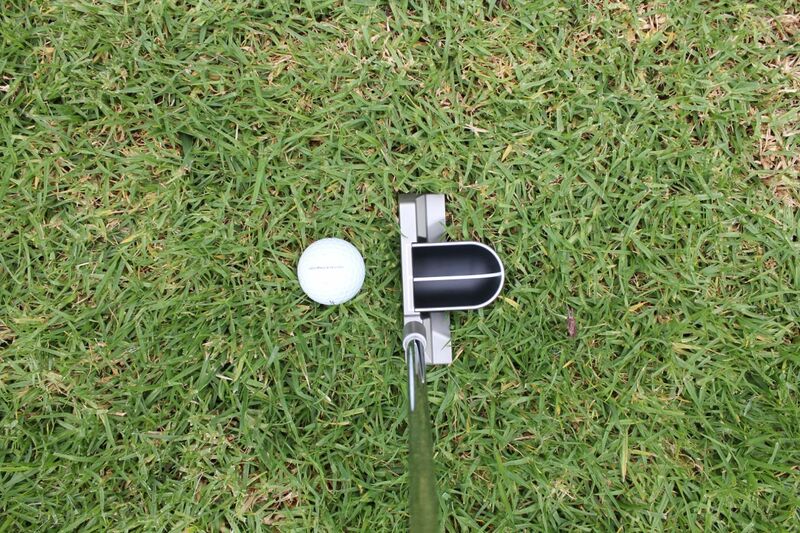 In testing this putter, the Half-Pipe alignment technology did exactly what it was intended to do, which is to help the golfer keep his eyes directly over the golf ball. 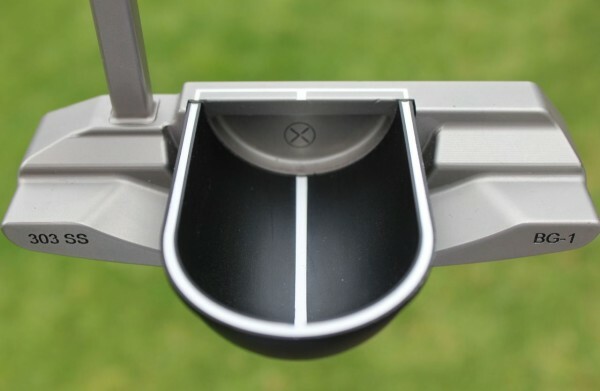 Especially if a golfer has difficulty rolling the ball on line, the Half-Pipe alignment system offers the stated “true benefit” to a player’s game. Above: If a golfer’s eyes are located inside the ball, the back portion of the line will appear “bend” toward the heel of the putter. 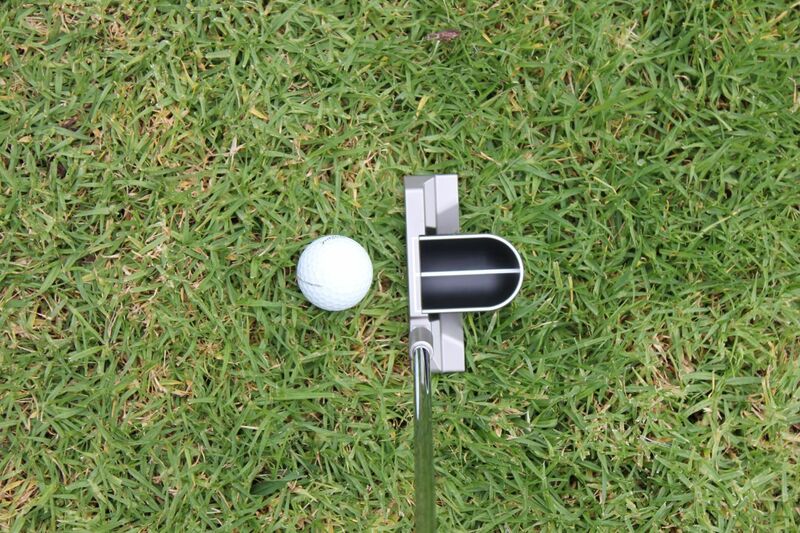 If a golfer’s eyes are outside the ball, the line will bend the opposite way. 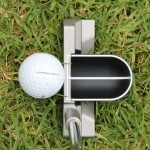 Perfect “eyes of the ball” positioning will render the line straight at address. 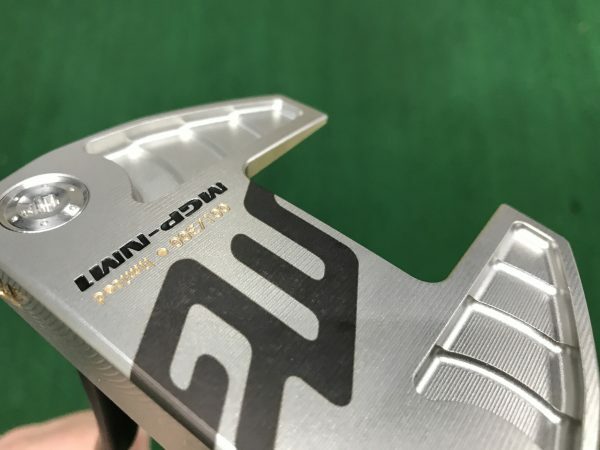 Historically, keeping one’s eyes directly over the ball was as much of a golf tenet as having a shoulder width-apart stance on iron shots, or placing the ball inside the left heel with a driver. 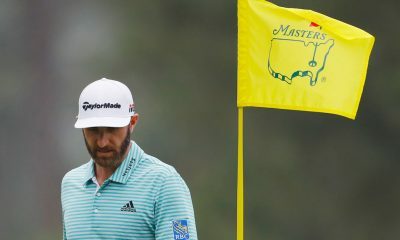 After all, not only did Arnold Palmer and Gary Player position their eyes directly over the ball, but so did Jack Nicklaus. 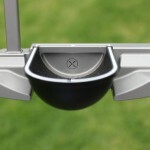 However, many instructors are in favor of positioning one’s eyes slightly inside the golf ball. 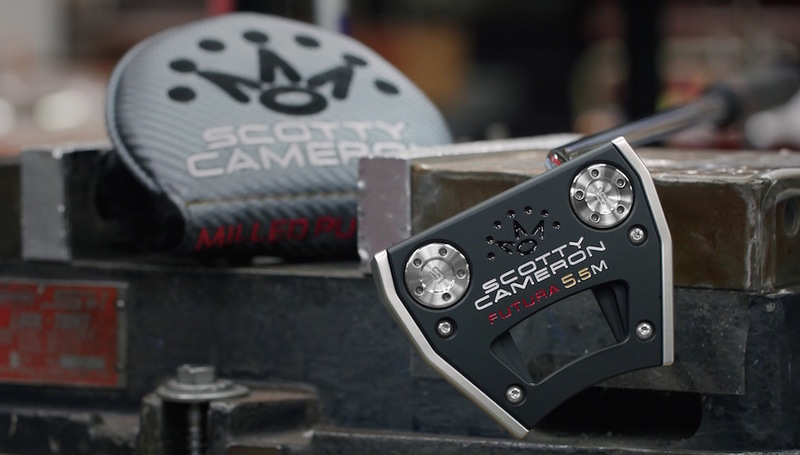 Those who fall in this camp, including putter manufacturer Scotty Cameron, feel that lining up over the ball causes the hole to appear more left than it truly is, resulting more frequent pulls. 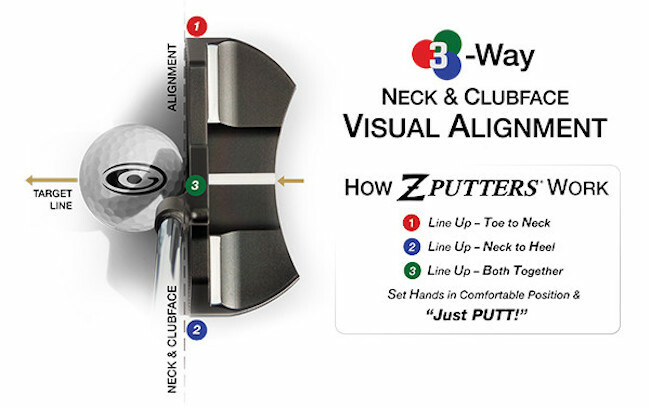 When it comes down to it, the positioning of one’s eyes at address is a personal preference. 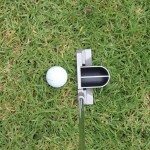 There are as many advocates for keeping one’s eyes inside the ball as there are for keeping one’s eyes over the ball. 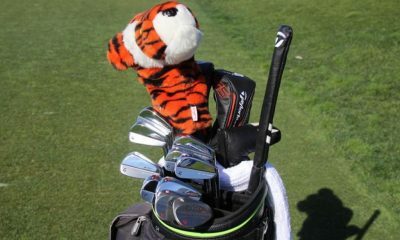 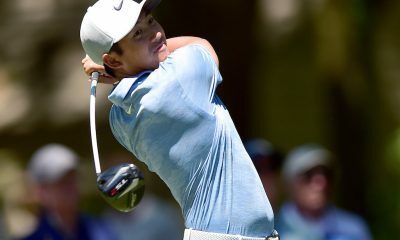 One of the best examples of this is Tiger Woods, who as a younger player was instructed by Butch Harmon, an advocate of keeping one’s eyes directly over the ball. 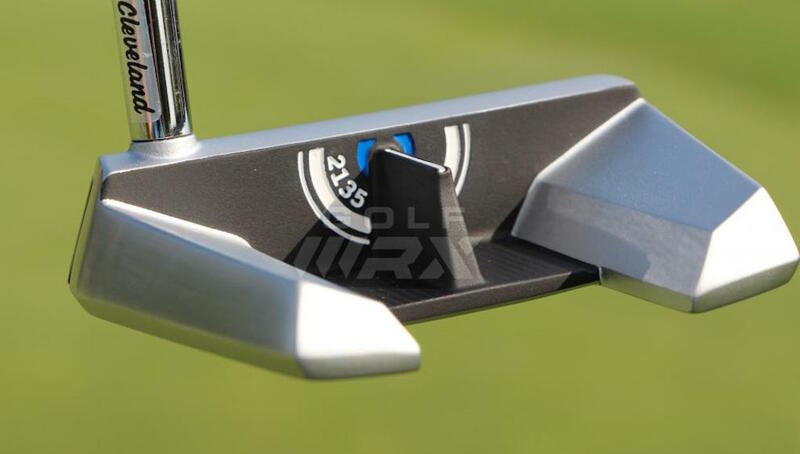 Now, under the instruction of Sean Foley, Woods positions his eyes more inside the ball, and is still first in Total Putting on the PGA Tour. 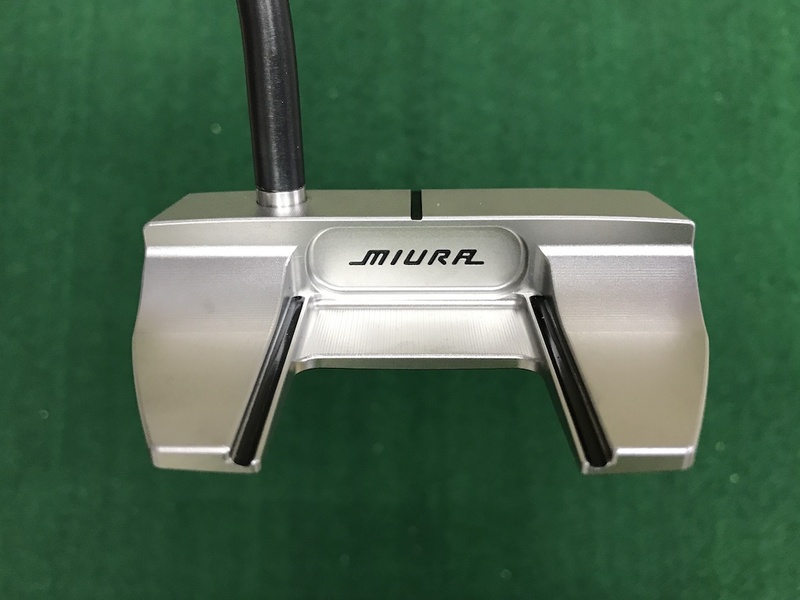 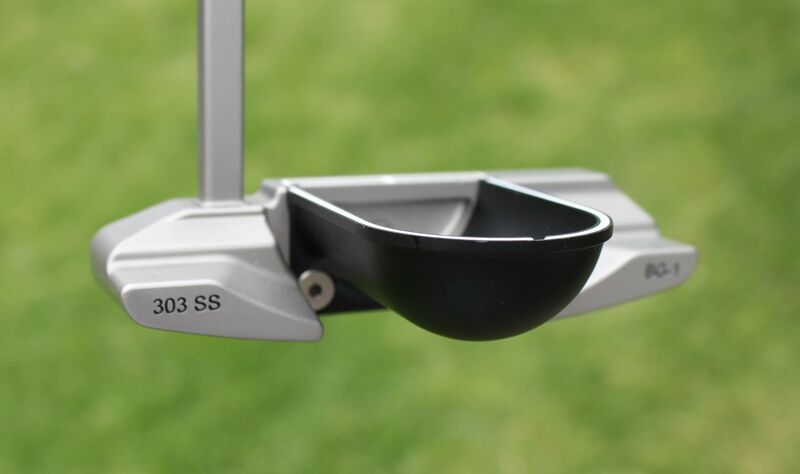 Looking at the putter without the Half-Pipe, the milled 303 Stainless Steel is slightly more angular from top line to back flange than an Anser 2 or Newport putter. 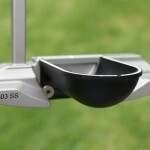 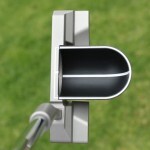 But its lines still smoothly blend in and give the appearance of a finely shaped putter. 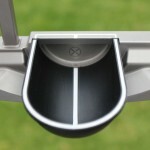 The Half-Pipe itself fits snugly between the back bumpers, with a length of roughly twice the blade and a width of exactly one golf ball. The black Half-Pipe with white paint fill lines offers great contrast, and regardless of whether or not you personally place your eyes directly over the ball, it serves as a good alignment aid. 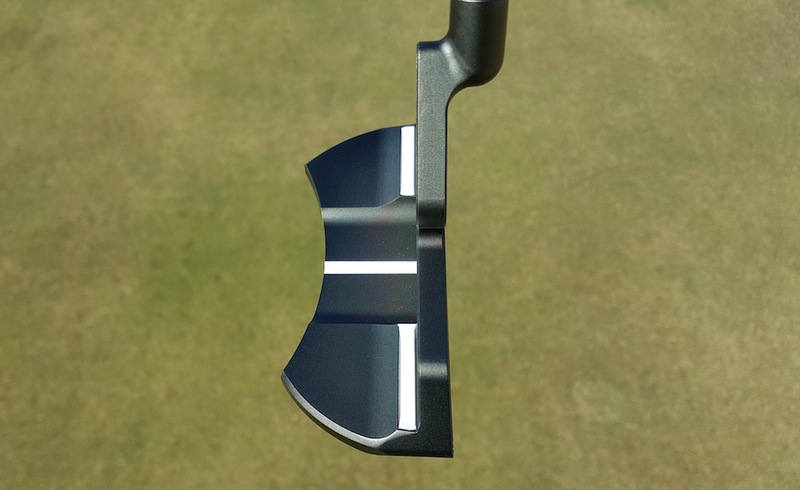 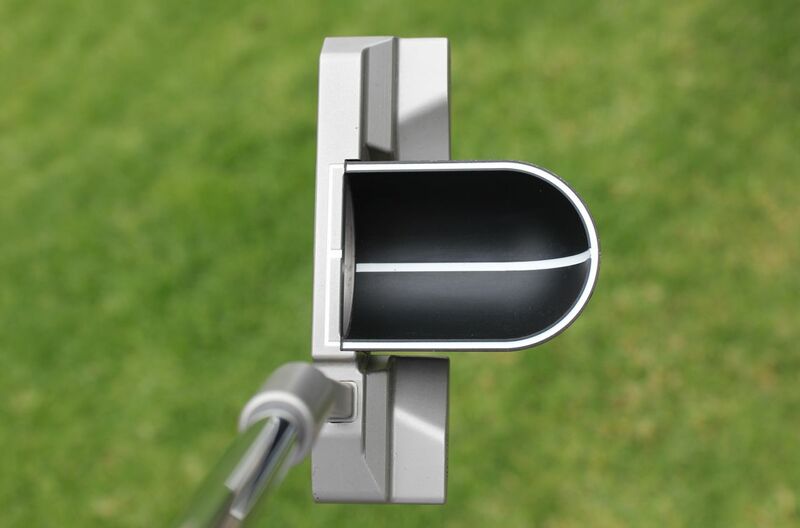 Feel-wise, the BG-1 is like any other premium milled putter. 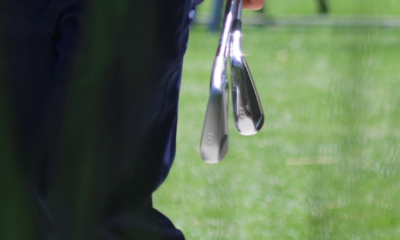 Hit the ball on the toe or heel and you will get instant feedback, in the sense that the sound and feel are noticeably harder. 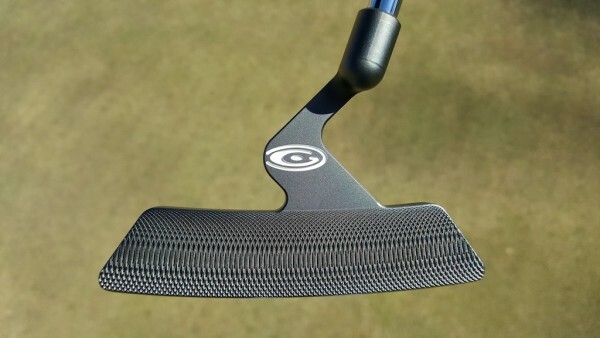 When struck perfectly, the feel is slightly firmer than what I’ve experienced from Scotty Cameron putters. 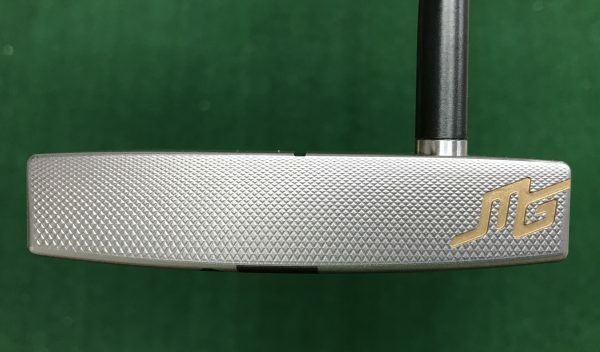 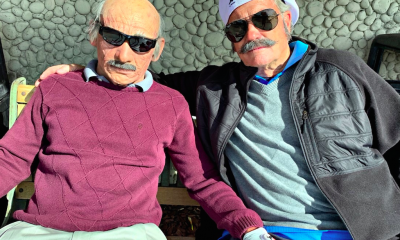 It’s reminiscent of an older Ping Anser, with a slight click sound. 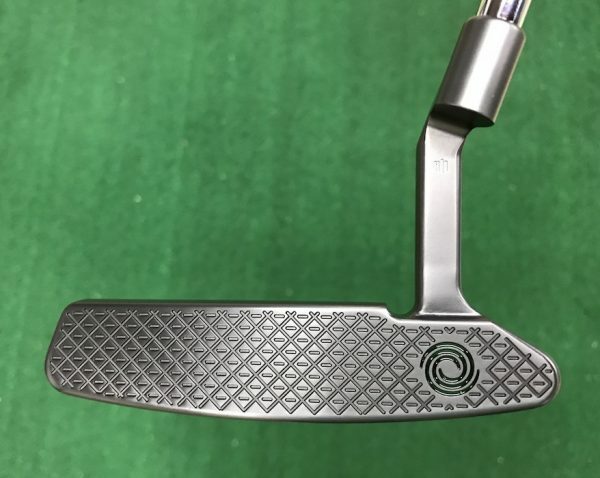 Some golfers will love it and other won’t. 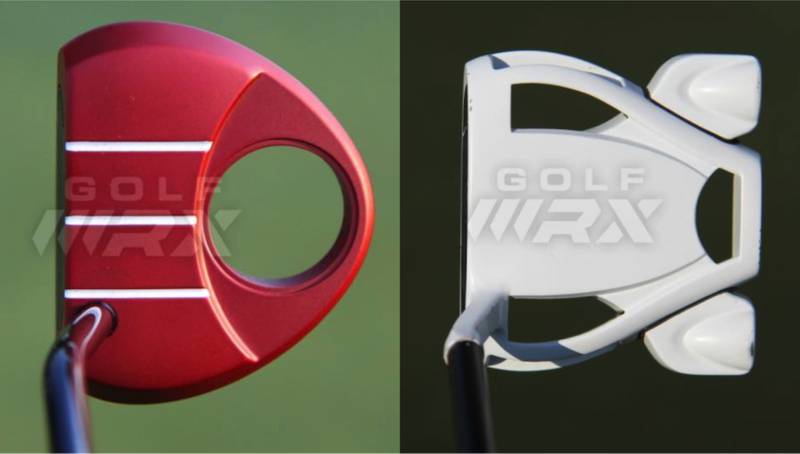 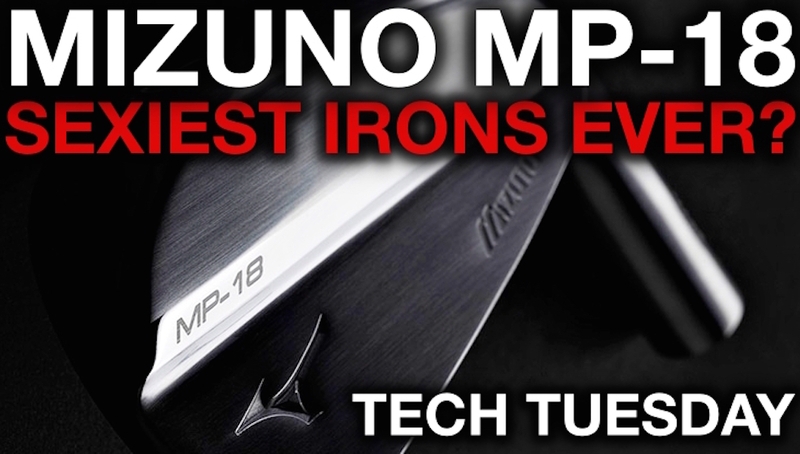 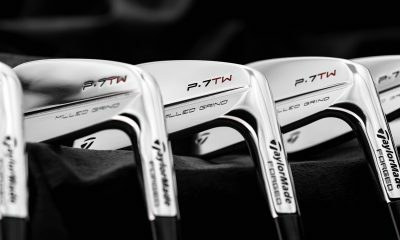 Like everything else in the golf equipment world, it all boils down to preference. 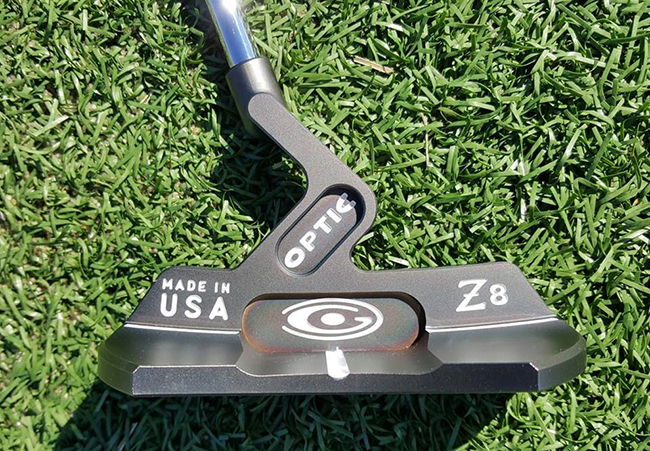 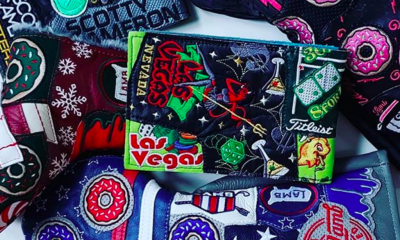 The putter will always be the most personal club in the bag for most golfers. 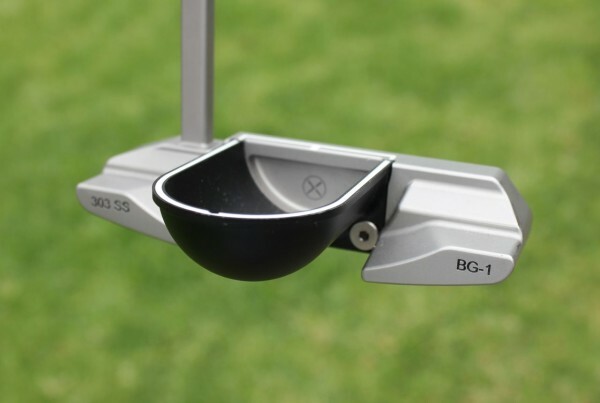 The Brex BG-1 offers great alignment in a unique package. 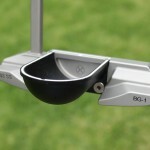 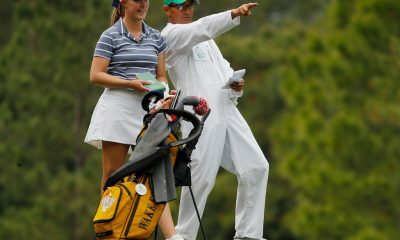 For a golfer who likes to have something in their bag that no one else in their foursome has, the BG-1 is their club. 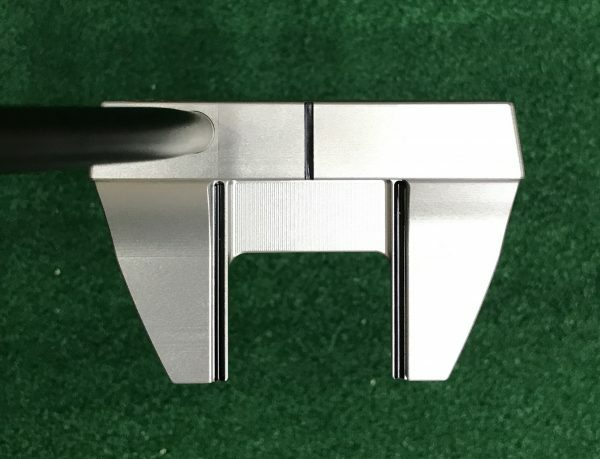 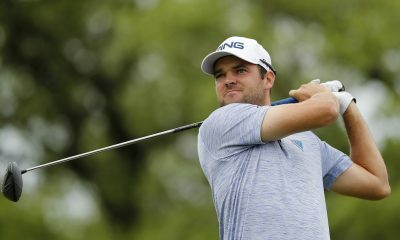 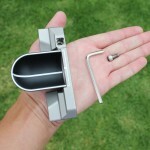 Burdick and Brex Golf have definately brought a unique and effective piece of equipment to the premium putter market, in line with their guiding principles. 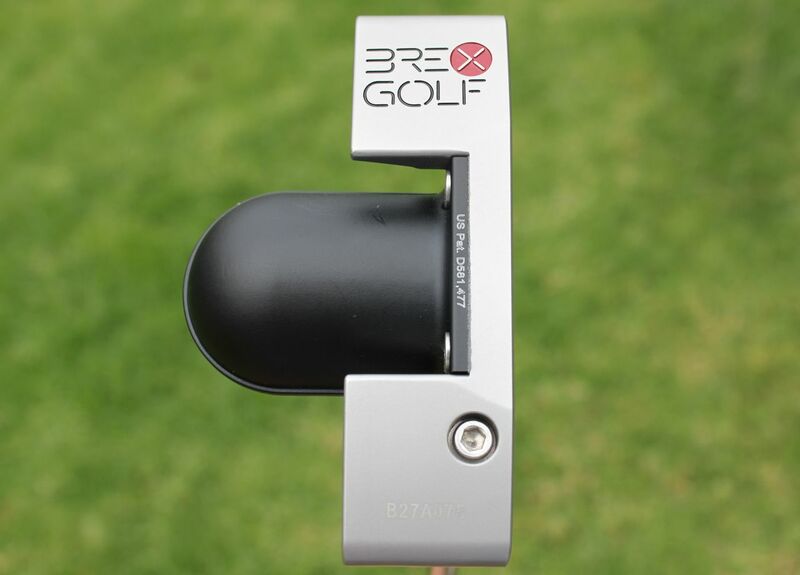 It will be interesting to see what kinds of equipment Brex brings to the market next. 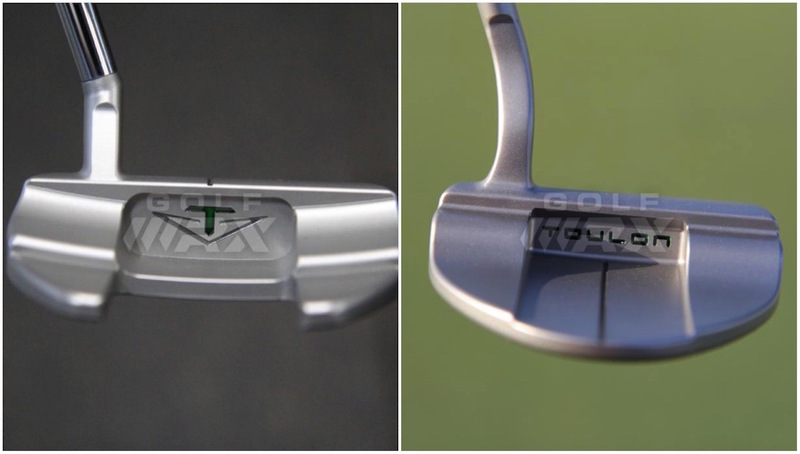 Let’s hope that they’re as thoughtful and well executed as the BG-1. 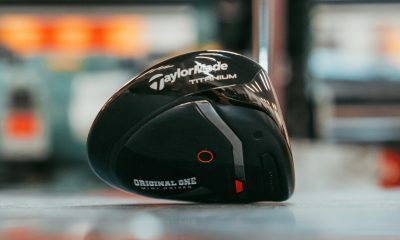 I like the ideal! Solid looking! 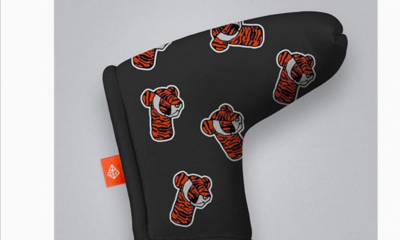 I would definitely give it a try! 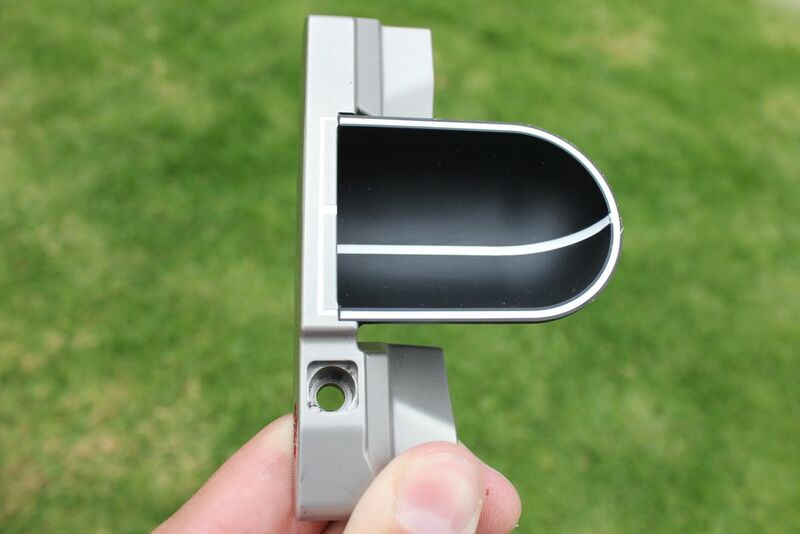 New concept… i might try one..
Hmm…I really hate the look but damn is that an interesting concept for alignment. 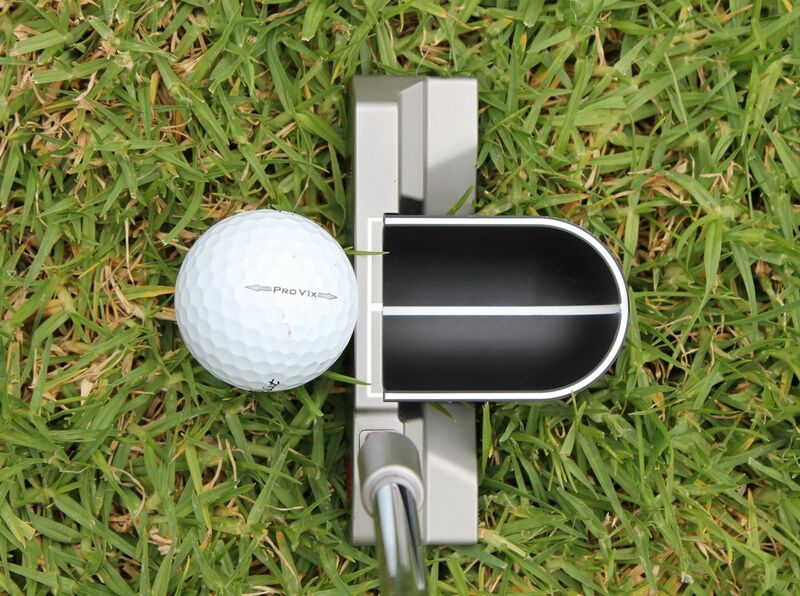 I would like to try one out. 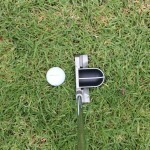 Great article, I might have to try this out.